Matkatus, a designer brand for eco-friendly Indian crafts, handloom and hand-crafted textiles is exhibiting garments in natural fibers – cotton, linen, silk cotton & silk. 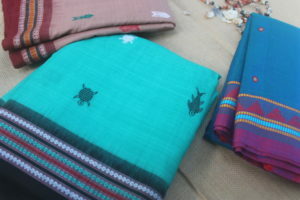 Ƒeaturing Pochampally & Odisha Ikats, Ajrak, Kalamkari, Bandhani, Leheriya, block prints – blouse fabrics, sarees, stoles & dupattas. April 10 to 13, 10 a.m. At C. P. Art Center, Alwarpet. Saanskrutie’s collections of dress material and readymade blouses are being offered at a 30% discount. At 77/10, C.P. Ramaswamy Road, Alwarpet. Ph: 45000700. MOOWES, an NGO for women entrepreneurs has a sale on now. Salwars & kurtis, sarees, jewellery, home décor, bags, dupattas, pickles, podis & more. Till April 7, 10.30 a.m. At C. P. Art Center, Alwarpet. Ph: 9884499237. Textiles & Accessories’ Show by CCI hosted by the Crafts Council of India. Featuring saris, dupattas, made-ups, blouses and stoles created by leading designer brands. On April 5, 10 a.m. At Welcom Hotel, Cathedral Road. ‘Storytelling for Adults’. By Eric Miller. On April 7, 2:30 p.m. At World Storytelling Institute, 7, Kasturi Estate 3rd Street (3rd Floor), Cathedral Road, Alwarpet. Paid event. Salad workshop: Make a meal in a bowl. On April 6, 10:30. At Käse, 47, 3rd Street, Abiramapuram. Ph: 9176221898. Sessions on ‘The beginning of life’ for mothers in the first & second trimester and ‘Childbirth & beyond’ for mothers in the third trimester. Hosted by Motherhood India. On April 6, 10.30 a.m. At The Raintree, St Mary’s Road, Alwarpet. 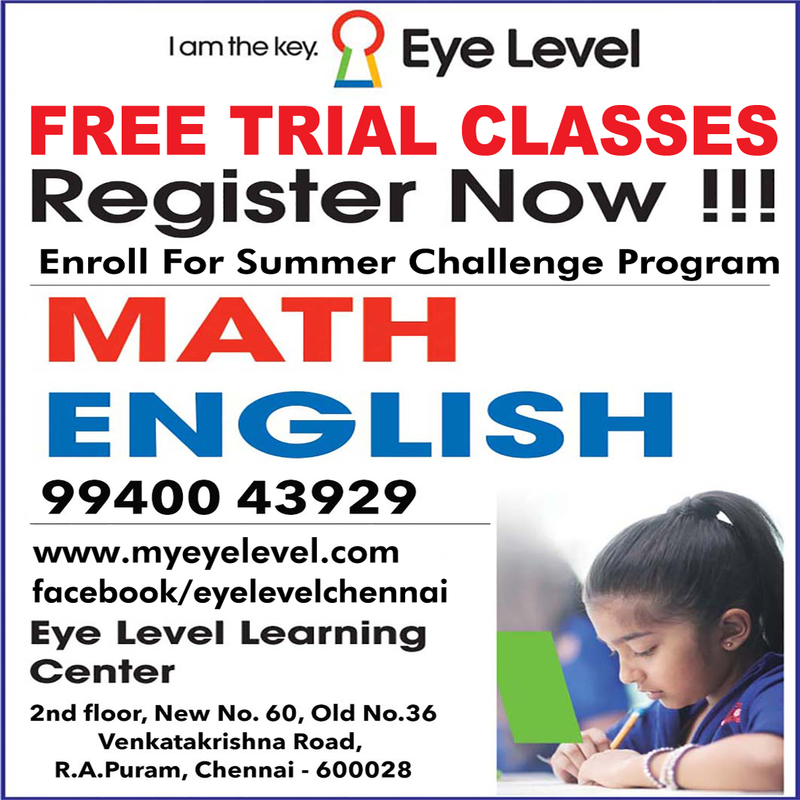 Register: 9606471413. Open to all expectant parents. The Local Lineup – with stand up comedian Naveen Richard. On April 7, 8 p.m. At CounterCulture Comedy Club, 16, 1st Cross Street, Co-operative Colony, Alwarpet. Ph: 8220832419. Paid event. Carnatic music vocal concert by Dr. K. J. Yesudas – as part of late maestro K. V. Narayanaswamy’s 17th death anniversary remembrance event. Yesudas is accompanied by S. R. Mahadevasarma – violin, Tiruvarur Bhakthavathsalam – mridangam and Dr. Karthik – ghatam. On April 8,7 p.m At Bhavans, Mylapore. Open to all. Musiri Day celebrations to celebrate the maestro – musical discourse ‘Paasurapadi’ by Dushyant Sridhar. Accompanied by Anahita & Apoorva (vocal), Shradda Ravindran (violin) and Guru Raghavendra (mridangam). On April 7, 10. 30 a.m. At Musiri Chamber, 28/2, Musiri Subramaniam Road, Mylapore. Limited seats, open to all. ‘A Bite of Indonesia’, a food festival curated by chefs Sukarno Wibowo and Faisal Martadinata. Till April 10, 7 p.m. At The Raintree Hotel, St. Mary’s Road. Alwarpet. Ph: 42252525. Theme menu for Ugadi festival. On April 6 & 7. At Thaligai Restaurant, Luz. Ph: 9791272888/ 24661512. 21st Ugadi Puraskaralu and Mahila Ratna Awards Nite – by Sri Kala Sudha Telugu Association, Chennai. 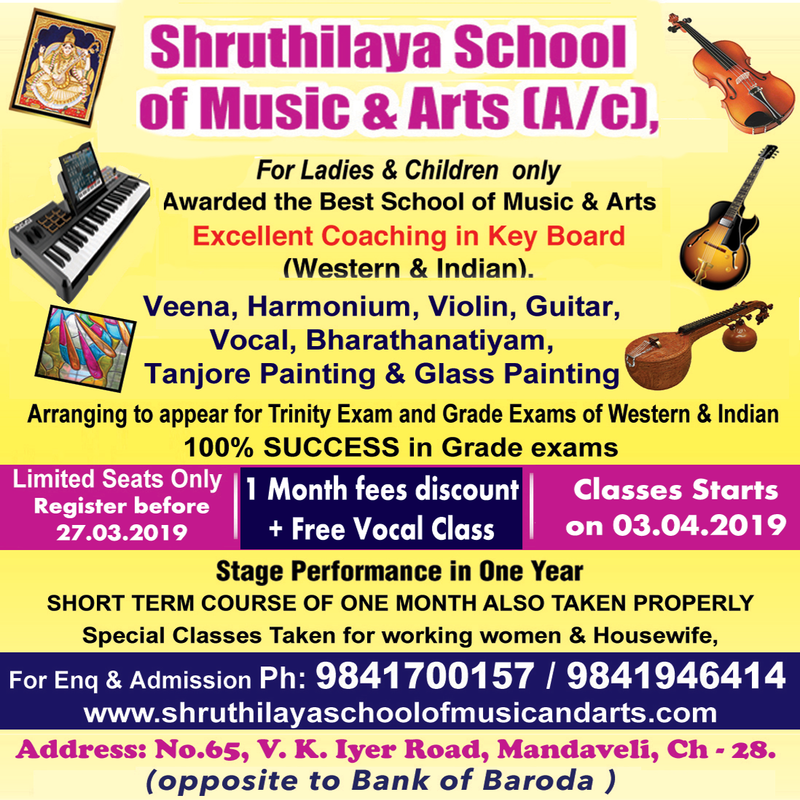 On April 7, 6 p.m. At Music Academy, Alwarpet. Open to all. Soul Spice Art Gallery presents an exhibition of paintings by S. A. V. Elaiyaraja. Till April 15, 11 a.m. At 21/11, C.I.T. Colony, 1st Main Road, Mylapore. Ph: 9840478886 / 9884989555. This entry was posted on Friday, April 5th, 2019 and is filed under Events, Lifestyle, Stores, Restaurants, Food fest, Stores, Sales, Shopping, Shopping, Stores, Summer Camps, Uncategorized, Workshops/ Camps. You can follow any responses to this entry through the RSS 2.0 feed. You can skip to the end and leave a response. Pinging is currently not allowed.